Overflow Church exists to encounter the presence of Jesus and to empower people.  Overflow Church desires to provide a place for people to be loved, find refuge, and experience true life. Jesus said that those who believed in him would be “wells of living water.” We were created for an abundant overflowing life, and that we would have life and give life. Our philosophy is that if people are well connected to Jesus, He will bring resolve to every issue of their life. We value the Presence of Jesus. Every time we gather and everywhere we go. We believe when Jesus reveals Himself, He speaks, heals, and transforms lives. We value Relationships. We believe that it is God's will that we are well-connected with the body of Christ and were meant to experience life together. Those who we are connected with will encourage us and empower our lives. We value Discipleship. We believe that the great commission and mandate for the local church is that of discipleship. Our goal is not to simply raise up “believers”, but genuine Christ-followers: people that are devoted to Christ and His kingdom. We value Excellence. We believe in doing everything as unto the Lord with diligence and quality. We value Honor. We believe that honoring God means honoring others. Therefore we honor up, down, and all around. We value Celebration. We believe that celebration increases hope and builds ourfaith. No victory is too small to be celebrated. We believe that the sixty-six books of the Bible are the only fully inspired Word of God and has supreme authority in faith and conduct. We believe there is one living and true God, eternally existing in three persons, equal in divine perfection. We believe in the Lord Jesus Christ, the one and only Son of God, was conceived of the Holy Spirit, born of the virgin, and is God's Anointed One, empowered by the Holy Spirit to inaugurate God's Kingdom on earth. He was crucified for our sins, died, was buried, resurrected and ascended into heaven, and is now alive today, in the presence of God the Father and in His people. The victorious redemptive work of Christ on the cross provides freedom from the power of the enemy - sin, lies, sickness and torment. We believe in the Holy Spirit who came forth from the Father and the Son. The sanctifying power of the Holy Spirit empowers the Christian to live holy and minister super-naturally. The baptism of the Holy Spirit according to Acts 1:4-8 and 2:4 is poured out on believers that they might have power to witness. We believe that Adam was created in the image of God, righteous and without sin. As a consequence of his disobedience, Adam’s posterity is born subject to both imputed and inherent sin, and all humans are therefore, by nature and choice, the children of wrath, justly condemned in the sight of God, wholly unable to save themselves or to contribute in any way to their acceptance by God. The Church consists of all who put their faith in Jesus Christ. The Church exists to carry on the ministry of Jesus Christ and further advance His kingdom by undoing the works of the enemy, preaching and living the good news of God's love, disciple the nations, baptizing and teaching them to love and obey God. To equip the saints for the work of ministry, God has given the Church apostles, prophets, evangelists, pastors, and teachers. We believe that Christ has committed two ordinances to the local church: baptism and the Lord’s Supper. We believe that a Christian should live for the glory of God and the well-being of his fellowman, and that his conduct should be blameless. We believe in the ever increasing government of God and in the Blessed Hope, which is the glorious visible return of our Lord Jesus Christ for His overcoming bride - His church. Heaven and hell are real places. There will be a resurrection of the saved and the lost, the one to everlasting life and the other to everlasting death.